Would you like to live in a world of Love and Trust? Do you want to raise your Vibrational Energy and your Happiness Quotient? 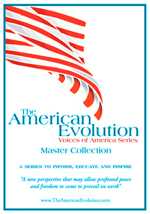 Are you seeking Universal Laws and Spiritual Principles for Evolutionary Self-Discovery? If so, you’ve come to the right place! Welcome to the Trust Frequency! What is the Trust Frequency? The Trust Frequency is a higher vibratory realm where your soul’s destiny awaits, with more abundance, joy, beauty and peace than we can imagine. It’s also known as Heaven-on-Earth, Nirvana in the Here-and-Now, or the Shift Frequency. 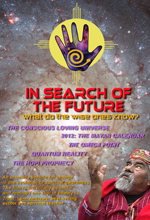 The Trust Frequency is a practical synthesis, based on universal laws and spiritual principles, of indigenous cosmology, quantum science, and Western and Eastern mysticism, offering an inspiring new perspective on the nature of Reality. The Trust Frequency is the title of the GAME-CHANGING BOOK that’s raising readers’ vibratory frequencies and upgrading lives around the world. 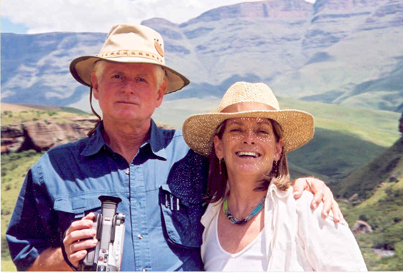 Authors Andrew Cameron Bailey and Connie Baxter Marlow on location in the Drakensberg Mountains, South Africa, during the filming of their movie “IN SEARCH OF THE FUTURE: What Do The Wise Ones Know? Big-picture thinkers, authors, filmmakers and futurists Andrew Cameron Bailey and Connie Baxter Marlow share discoveries gleaned from two lifetimes of experience on the quest for humanity’s higher consciousness. Andrew grew up in South Africa amidst the Zulus, and befriended the Kalahari Bushmen. Connie was raised in Maine in a family of politicians and philanthropists that championed the earth, water, women and animals. Andrew became a science professor and his journey took him on the Sufi path. 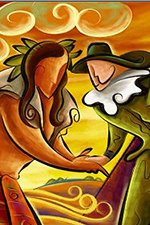 Connie’s brought forth visionary Native American elders. Before meeting in 2003, Connie and Andrew had reached similar conclusions: there’s a split in the human psyche caused by erroneous assumptions about the nature of the Universe. 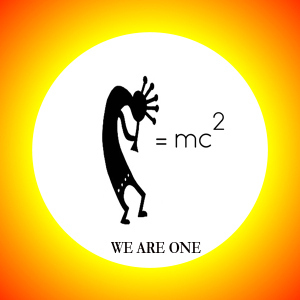 They discovered that the indigenous connection to the Conscious Loving Universe is supported by cutting edge quantum science; that a synthesis of the two reveals a paradigm of trust and personal power that brings individuals into a higher frequency and expanded reality, beyond anything we can fathom with minds conditioned to believe that the frequency of scarcity and separation is the only option. Our unique synthesis expands on the work of many of the world’s greatest evolutionary thinkers, including Teilhard de Chardin, Sri Aurobindo, Ervin Laszlo, William Irwin Thompson, Bruce Lipton, Rupert Sheldrake, Andrew Cohen, Fridtjof Capra, Michael Dowd, Ken Wilber, Georg Hegel, Alfred North Whitehead, Albert Einstein, John Lennon, Joseph Campbell, Timothy Leary, Charles Eisenstein, Charles Fillmore, William James, Hazrat Inayat Khan, Pir Vilayat Khan, Deepak Chopra, Brian Swimme, Amit Goswami, Barbara Marx Hubbard, Wendell Berry, J. Krishnamurti, Ralph Waldo Emerson, Aldous Huxley, Alice Bailey, Madame Blavatsky, Carl Jung, P.D. Ouspensky, G.I. Gurdjieff, Rudolf Steiner, Javad Nurbhaksh, Jean Houston, Ray Kurzweil, Isaac Asimov, David Loye, Gregg Braden, Howard Bloom, Michio Kaku, David Bohm, Jallaludin Rumi, Henry David Thoreau, Yoda, Konrad Lorenz, Black Elk, Gerald Heard, Michael Murphy, Goethe, Immanuel Kant, Vivekananda, Eckhart Tolle, Jose Arguelles, the Institute of Noetic Sciences and many others, known and unknown. We have developed a large body of inter-related work, all focused on the evolutionary upward spiral: The Trust Frequency, In Search Of The Future, The First Fifty Years, The American Evolution. Click on the images to the right to learn more about each project. 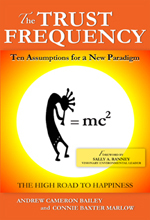 CLICK HERE to buy the THE TRUST FREQUENCY book.